So, I have an animator , i can access it. But from there I have no idea how to access the clips inside. I need to access the transition of the clips. I got as far as accessing the object of the "Animator" class. It appears The TransitionInfo datatype doesnt provide conditions. I need the conditions! Give the transition a name in the editor. Let's say you call it "AnimAToAnimB". Figure out which layer of the animator the transition is in. Let's assume it's in the default "Base Layer". and store it in some variable, let's say transitionAToBHash. Research "Animator State Machine Behaviours". You'll want one attached inside the layer of the transition that you're interested in. // PROFIT! your transition "transitionAToB" has just started! Note: it can get a lot more complicated if you're using things like sub state machines. 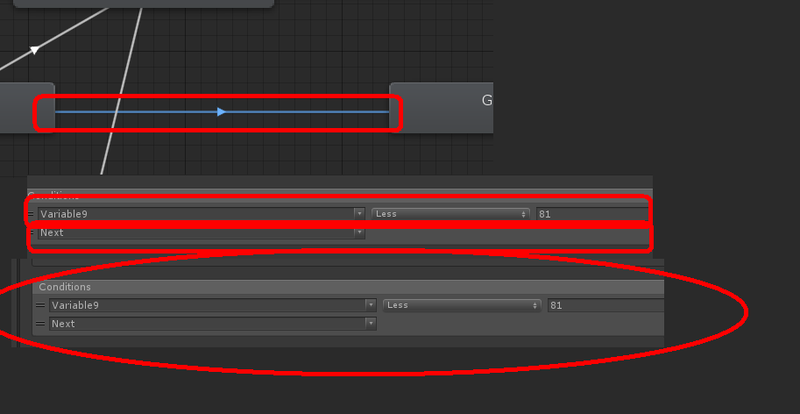 //Trigger it by button click or inside other functions to change the animation. Not the answer you're looking for? Browse other questions tagged unity c# animation scripting animator or ask your own question.